In addition to the China Greentech Initiative's commercial Partners, we have also assembled a diverse group of organizations and individuals who are providing our research team with guidance, expertise, and feedback throughout the course of the Initiative. American Chamber of Commerce in Shanghai, known as the “Voice of American Business” in China, AmCham Shanghai is the largest and fastest growing American Chamber in the Asia Pacific region. As a non-profit, non-partisan business organization, AmCham Shanghai is committed to the principals of free trade, open markets, private enterprise and the unrestricted flow of information. Beijing Shougang International Engineering Technology Co., Ltd is an international engineering company, established through reorganization of Beijing Shougang Design Institute, which is invested by Shougang Group who takes relative majority of the share. BSIET has the compound Grade A Qualification for engineering design issued by the State, it is the first unit of Beijing municipal enterprises that awarded this Qualification and is able to undertake engineering design for all industries and all grades. Meanwhile, it can provide technical services such as planning consultation, equipment integration and general contracting. BSIET is Hi-tech Enterprise of Beijing City. The British Embassy works to build wide-ranging and mutually beneficial relations between our two governments and peoples in a wide range of areas. 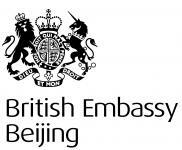 Within the Embassy, the UK’s Climate Change and Energy China Network works to assist China to achieve low carbon economic reform and development and to work with China on an agreement to a post-Kyoto international framework to reduce greenhouse gas emissions globally. In parallel, the UK Trade & Investment promotes the UK's low carbon capability across low carbon sectors and industries, fosters cooperation with Chinese partners and encourages Chinese low carbon companies to invest in the UK. Broad Energy Service Co., Ltd is the build-operate-transfer of Energy Performance Contracting (EPC), Distributed Energy System (DES) and Combined Cooling Heating and Power (CCHP). Broad non-electric air conditioning waste beat utilization technology can reduce CO2 emissions by 4 times and energy consumption by 2 times. In 1998, Broad cooperated with the US Department of Energy, Oak Ridge National Laboratories to develop the CCHP system. Our products and technology have applications in over 70 countries worldwide and our representative cases include metros, military bases, airports, universities, the US Qualcomm Communications Headquarters Building, South Korea central government buildings and India DLF Digital City. In China, we provide energy service for Diaoyutai State Guesthouse, Beijing International Trade Center, Changsha Huanghua Airport, China-Sigapore Suzhou Industrial Park, Chinese Space Base, and Huaxi Village, among others. Established in 1995 and headquartered in Shenzhen, China, BYD is a top high-tech enterprise specializing in IT, automobile, and new energy. In the field of new energy, BYD has developed green products such as solar products, battery energy storage systems, electric vehicle, LED, and etc. In the future, BYD will continue to lead the new energy revolution and help more countries in the world to get rid of oil pollution problems and relevant economic problems. All the people in the world will benefit from BYD’s technological innovation! 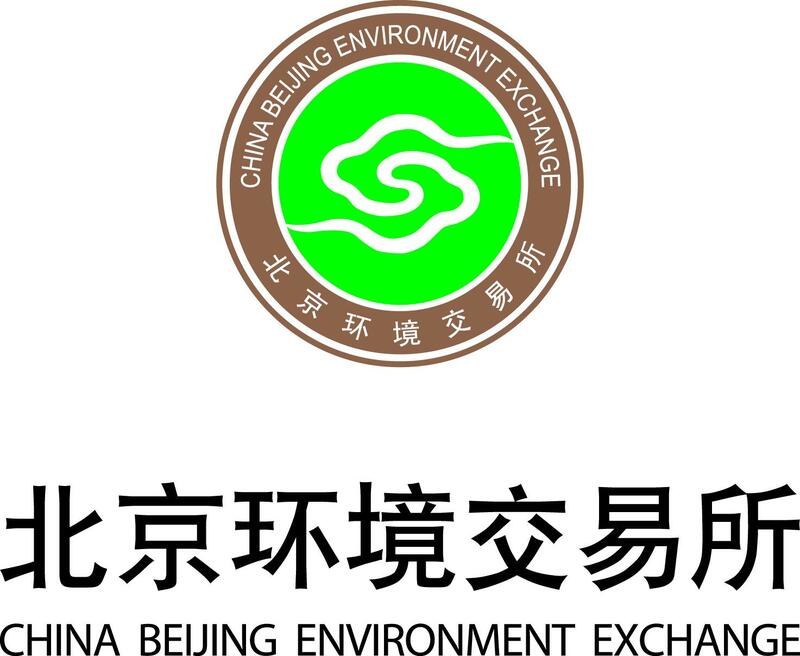 China Beijing Environmental Exchange (CBEEX) was founded on Aug 5th, 2008, established with the approval of the Beijing municipal government., which is a professional market platform for trading various environment equities. CBEEX is an operational organization for open and centralized transaction of environment equity, which is sponsored by China Beijing Equity Exchange (CBEX), The New Energy Investment Ltd. of China National Offshore Oil Corp., China Guodian Corp., and China Everbright Investment Management Corp. The Environmental Protection Committee for Electronics (EPCE) is a branch of the China Electronics Enterprise Association (CEEA). CEEA is a non-profitable social and economical organization registered in Ministry of Civil Affairs with legal person standing, China Electronics Enterprises Association (CEEA) is a nationwide organization for enterprises engaged in research, development, production, sales and provision of services, involving different areas, departments and ownerships. All the positions for deputy chairpersons and trustees are taken by the principal of groups or renowned entrepreneurs in the related sectors, which ensures that the activities of CEEA are organized as required and expected by the enterprises with a focus on “Protecting interests and promoting the development of the enterprises”. Facing the same future with the electronics enterprises, CEEA will work hard to build itself into a “Big Community” for all related companies and entrepreneurs. Presently, CEEA has over 2700 members covering the manufacturers of consumer electronic products, electronic elements & equipment, Telecommunications, Information Technology, Broadcasting, IT, etc. within the China information industry. 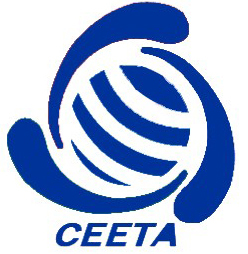 China Energy and Environmental Technology Association (CEETA) is a non-profit social organization co-sponsored by public institutions and enterprises mainly engaged in energy and environmental protection. CEETA members are voluntarily composed of the energy enterprises and individuals qualified in the field of energy industry as well as research institutes, universities and related industry enterprises, unrestricted by the area and department. Directed by All-China Federation of Industry and Commerce (ACFIC), the China Environment Chamber of Commerce (CECC) is a non-profit membership organization dealing with management and improvement of Chinese Environmental Service Industry and related industries, particularly in the fields of urban water supply, urban sewer and wastewater treatment, and municipal solid waste. Founded on June 12 of 2007, the CECC was initiated by well-known domestic environmental companies and global leading water enterprises in China, such as Beijing Sound Environmental Group, Beijing Capital Corporation, Golden State Environment Group, VEOLIA Water, Suez Environment, etc. The CECC currently represents more than 100 corporate members in various fields of the industry, arranging from capital investment to operation, construction, equipment, and consultancy services. The Energy Branch of CIIA (China Information Industry Association) is the only energy association in the China energy industry. Founded in March 19th, 2007, it was approved by NDRC (National Development and Reform Commission ) document (2006) 178th , and is registered upon the approval of the Ministry of Civil Affairs document(2007) 1028th.The Energy Branch of CIIA operates its work under the direction of NDRC and the National Energy Bureau, accepts the supervision of CIIA. The purpose of The Energy Branch is: to abide by the state laws, regulations and policies, aiming to promote the development of energy industry and energy information work , to play the role as the bridge and link between the government and the national energy companies and members; through participation in industry planning, industry self-regulation, industry services, industry supervision, reflecting the enterprise appeal, maintaining the legitimate rights and interests of enterprises, coordinating the correlated relationship to promote the development of the energy industry, new energy development, energy-saving emission reduction, and the energy industry informatization and modernization. China Petroleum and Chemical Industry Federation (changed to the present name from China Petroleum and Chemical Industry Association on May 10, 2010) is a non-government, not-for-profit organization consisting of companies, institutes, sectional associations and local associations in the petroleum and chemical industry on the voluntary basis. It is the umbrella organization that provides service and implements certain administrative functions within this industry on the national level. International Cooperation Center of China Renewable Energy Society (ICC-CRES) was set up in October, 2011, affiliated to CRES. The center specializes in international cooperation and exchanges in the renewable energy field, including exchanges of ideas regarding development strategies and policies, research on related issues, exchanges and cooperation regarding related technologies, foreign inspection and training, organization and implementation of cooperation projects, consultation on information, and services concerning foreign affairs. The center has advantages of abundant resources, information and talents pool for international exchanges and cooperation. It provides comprehensive support and services for governments, enterprises, public institutions and other relevant institutions. Currently, the center has built promotion centers for bilateral cooperation with advanced countries and regions in the world including the US, Germany and Spain. In the meantime, it is vigorously stepping up its cooperation with developing countries. We expect to expand our ties with more relevant institutions to facilitate the communication and cooperation on renewable energy between China and the rest of the world. Investment Promotion Agency, Ministry of Commerce of The People’s Republic of China focuses on implementing Country opening to the outside world policy and serving for domestic and overseas investor, and the promotion of “importing” and “exporting” two-way investment and providing a broader platform and more developing opportunities for them. Based on the complex network resources of the government, Investment Promotion Agency utilizes the advanced investment promotion idea, dedicates to create a multi-level and comprehensive investment promotion system which provides the systematical, high-efficient and fast investment promotion service, and make efforts to become the bridge and tie of investment cooperation among domestic and overseas government, organizations and enterprises. Beiqi Foton Motor Co., Ltd is the largest CV automaker in China with the most inclusive product portfolio. On August 28th, 1996, Foton Motor Co., Ltd. was established in Beijing, and was listed on Shanghai Stock Exchange (600166) on June 2nd, 1998, with total assets of nearly 30 billion yuan and 40 thousand employees. In 2010, its brand was valued at 38.872 billion yuan. Foton Motor is one of the pillars among the indigenous auto brands and independent innovators in China. Since its founding, Foton has been on a fast track of development at the “Foton speed” that left the whole industry surprised. It has cumulatively sold more than 5 million units of vehicles and had been leading the world in CV sales volume for 2 consecutive years. Friends of Nature (FON) is the oldest environmental NGO in China. We have been working for over a decade to promote environmental awareness and public participation in addressing China’s pressing environmental problems. In particular, in the last five years, we have re-strategized to focus on the framework of livable city, as we believe rapid urbanization is the drivers behind many environmental problems. We currently work on themes of zero waste, low carbon household, public participation in information disclosure and public interests litigation, nature experience and education. Though we have achieved some important victories in the past, possibly FON’s greatest achievement is helping to foster a growing network of grassroots environmental NGOs throughout China. We firmly believe that environmental education increases awareness, and heightened awareness promotes citizen participation. It is through the participation of all Chinese citizens that China can achieve the dream of the harmony between human society and nature. Xinjiang Goldwind Science & Technology Co., Ltd., is the largest manufacturer of wind turbines in China, and among the largest in the world. With strong R&D capabilities, the company is the world’s largest manufacturer of permanent magnet direct-drive wind turbines, representing the industry’s next generation technology. Goldwind is listed on both the Shenzhen Stock Exchange (stock code 002202) and the Stock Exchange of Hong Kong (stock code 2208). As of December 31, 2012, Goldwind’s accumulated installed capacity of wind turbines reached more than 15 gigawatts and over 12,000 units, which is equivalent to 12 million tons of coal saved per year or 29.91 million tons of carbon emissions reduced per year or 16.4 million cubic meters of newly planted forest. Jiangsu Modern Low Carbon Technology Institute is the first modern low carbon technology institute in Jiangsu Province and in China, founded in 2010, has been jointly established by Southeast University, Nanjing University of Technology, Jiangsu Provincial Innovation and Economic Development Research Center, Jiangsu Provincial Department of Construction Technology Development Center, Jiangsu Department of Environmental Protection and Jiangsu Academy of Environmental Sciences. The institute focuses on researching low carbon related technical routine, technical development and technical integration worldwide. In 2010, the institute got multi-dimensional cooperation with UNIDO ISEC; launched Wujin high-tech zone as the first national low carbon demonstration area. 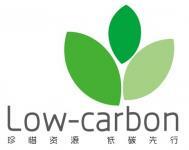 In 2011, the international cooperation & communication center of the institute, the Nanjing University of Technology and ERM Environmental Resources Management co-launched the “Low Carbon Waste Management” project, which was sponsored by British Foreign and Commonwealth Office. In 2012, the institute was invited to visit the German embassy in China, started to team up on low-carbon technologies area. Tianjin Lishen Battery Joint-Stock Co., Ltd. is a "leading domestic and international first-class" company which can be able to provide customers with total power solutions of lithium-ion batteries of high-tech enterprises. Its products are widely used in mobile phones, laptops, electric tools, and other portable electronics goods, new energy vehicle, energy storage systems and special equipment, and other areas. Ministry of Science & Technology (MOST) mainly focuses on proposing the macro strategies of science and technology to promote economic and social development, policies and regulations; Research in key issues of promoting economic and social development; Research in the major layout of The development of science and technology and priority areas; promote the construction of Science and technology innovation system, Improve national science and technology innovation ability. Ministry of Housing and Urban-Rural Development of the People’s Republic of China (MOHURD) is a part of the State Council, which is responsible for construction and administration affairs. National Institute of Clean-and-Low-Carbon Energy (NICE), a wholly owned entity of Shenhua Group, a leading global integrated energy company, is a leading Chinese industrial scientific and engineering research institute dedicated to delivering innovations that are fundamental to China’s energy future and the future of its partner nations. NICE, with its team of internationally recognized scientists and distinguished advisory board is working in collaboration with international partners to develop breakthrough technologies and associated processes that can be deployed at scale, in areas of clean and low carbon energy. Funded by experienced investors from the Hong Kong and Singapore media and publishing industry, RCC Group (www.rccgroup.cn) has expanded its network into ten major cities in China, including Beijing, Shanghai, Guangzhou, Tianjin, Chongqing, Wuhan, Hangzhou, Nanjing, Xi'an and Hohhot. With near 600 employees, RCC has provided project leads services, building product price database, market research, market promotion services to government agencies, developers, design firms, contractors, building materials and equipment suppliers. Many of renowned multinational companies, including Wanda Group, R&F Properties, Forte, COFCO, China Merchants Property, BIAD, Shanghai Xian dai, Zhongnan Group, Rider Levett Bucknall, Langdon Seah, ABB, Siemens, Honeywell, Philips Lighting, Owens Corning, Grohe, Hansgrohe, Haier and GE have been using RCC’s services. Sinohydro Road & Bridge Engineering CO., Ltd was set up in April 2006 with registered capital of 2.273 billion Yuan RMB. By the end of 2011, the total assets, sales income and total contract reached 14.255 billion yuan, 9.437 billion yuan, and 64.687 billion yuan, respectively. The Corporation is mainly engaged in the civil works construction of highway, urban infrastructure, harbor, navigation channel, environmental engineering, as well as investment in infrastructure works. Environmental Engineering Department of the company was founded in early 2010 and was aimed to be the "leading providers of integrated environmental services" for strategic positioning. Tianjin TEDA Low-Carbon Economy Promotion Center (or ‘ TEDA Eco Center’) is a non-for-profit organization supported by the Administrative Commission of TEDA (or TEDA AC) ; It is TEDA AC’s latest initiative to promote low-carbon development in the region; TEDA Eco Center was formally established on the 23rd of March, 2010. TEDA Eco Center aims to reconcile social, economical and environmental dimensions of sustainable development through information services, business matching events and international cooperation; it aims to become a one-stop service center for low-carbon development, which is dedicated to become corporates, institutes and general public’s partner to enhance their environmental capacity, as well as their business competitiveness. Transport Planning and Research Institute (TPRI), as a public institution, is directly affiliated to the Ministry of Transport (MOT) of China. It was founded in March 1998 when a re-organization was undertaken between two institutes, namely Highway Planning and Design Institute， Waterway Planning and Design Institute. TPRI was then constituted by divisions for transport planning studies from the above-mentioned two institutes. Tsinghua-BP Clean Energy research and education centre is a world famous China energy strategy research centre found by TsinghuaUniversity and financially supported by BP Company. The aim of the centre is to become: a world famous China energy strategy research centre, a world leading forum of energy policy, a high level research and information centre of clean energy technology, a bridge between China and foreign Company and institute in clean energy cooperation aspect, and also a demo for the cooperation between BP and Tsinghua University. Through the power of collective action, United Nations Global Compact seeks to promote responsible corporate citizenship so that business can be part of the solution to the challenges of globalization. United Nations Global Compact is a purely voluntary initiative with two objectives; to mainstream the ten principles in business activities around the world and catalyse actions in support of UN goals. Tsinghua University was established in 1911, originally under the name “Tsinghua Xuetang”. The faculty greatly valued the interaction between Chinese and Western cultures, the sciences and humanities, the ancient and modern. Tsinghua scholars Wang Guowei, Liang Qichao, Chen Yinque and Zhao Yuanren, renowned as the "Four Tutors" in the Institute of Chinese Classics, advocated this belief and had a profound impact on Tsinghua's later development. We coordinate with all DOE Program Offices and support offices on issues affecting nuclear security and energy cooperation with China. response to improve nuclear security in China and U.S.
competitiveness and combat climate change. improves quality of life and economic growth. U.S. Foreign Commercial Service is the trade promotion arm of the U.S. Department of Commerce’s International Trade Administration. ACORE, a 501(c)(3) non-profit membership organization, is dedicated to building a secure and prosperous America with clean, renewable energy. ACORE seeks to advance renewable energy through finance, policy, technology, and market development and is concentrating its member focus in 2013 on National Defense & Security, Power Generation & Infrastructure, and Transportation. China Institute advances a deeper understanding of China through programs in education, culture, business and art in the belief that cross-cultural understanding strengthens our global community. China Institute was founded in 1926 by a group of distinguished American and Chinese educators including John Dewey, Hu Shih, Paul Monroe and Dr. Kuo Ping-wen. It is the oldest bicultural organization in America devoted exclusively to China. Chartered by the Board of Regents of the University of the State of New York in 1944 as a school of continuing education, our school of Chinese studies is the oldest educational center of its kind in the United States. The Alliance is a non-profit organization dedicated to combating climate change by promoting energy efficiency as the cleanest and least expensive energy resource in China. The Alliance has been working for more than eight years to help China implement practical strategies to harness efficiency in ways that are appropriate for local conditions. •	Mobilizing our powerful network of experts, officials, and other key stakeholders to share experience and best practices from the US. Clean Air Task Force (CATF) is a nonprofit organization dedicated to reducing atmospheric pollution through research, advocacy, and private sector collaboration. CATF is working actively in China and the US to demonstrate, commercialize and improve technologies that separate carbon from coal use. The youngest of the top 10 U.S. research universities, Duke University includes graduate and professional schools in business, the environment, engineering, law, medicine, nursing and public policy that are among the leaders in their fields. Duke is global in its reach, through the Duke-National University of Singapore Graduate Medical School and Duke Kunshan University (opening in fall 2014) and also through the programming and influential research conducted by its schools and institutes, including the Nicholas School of the Environment and the Nicholas Institute for Environmental Policy Solutions. Duke’s home campus is in Durham, N.C., adjacent to the renowned Research Triangle Park. Econet china is a non-profit initiative of the German industry, coordinated by the German Industry and Commerce Greater China, for the promotion of Sino-German cooperation for sustainability. To support the already rich German-Chinese cooperation in this field, econet china has been created to facilitate the exchange of information, know-how and enable an effective networking between all players. The Innovation Center for Energy and Transportation (iCET), a leading think tank in the areas of clean transportation, carbon management, and sustainable development is an independent non-profit organization registered in Beijing, and California. iCET’s mission is to strengthen international collaboration and provide decision makers at all levels with the urgently needed innovative solutions to solve the energy, environment, and climate crises that the world faces today. 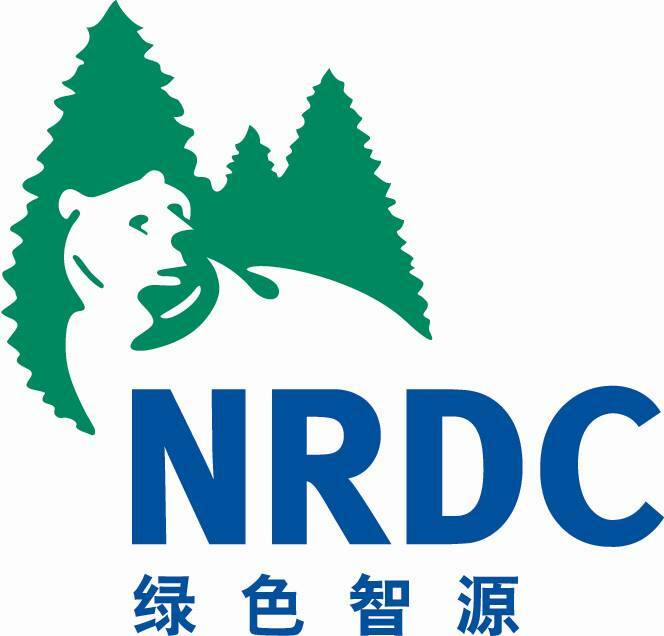 NRDC was the first international environmental organization to establish a clean energy program in China. Since 1996, its team of experts has helped China develop clean, efficient, and affordable energy and environmental policies, strategies, and techniques for reducing pollution. In recent years, NRDC has expanded the scope of its work to capitalize on new opportunities in energy efficiency, environmental governance and law, health, sustainable cities and the promotion of green supply chains. Rocky Mountain Institute is an independent, entrepreneurial, nonprofit think-and-do tank. We envisage a world thriving, verdant, and secure, for all, for ever. To that end, our mission is to drive the efficient and restorative use of resources. VISIONEDGE Technologies Pte Ltd is a Global Asian enterprise accelerator that promotes the expansion of high-growth technology-based enterprises across emerging sectors such as clean technologies targeting at international markets, with a special focus in Asia. The VISIONEDGE Technologies’ Enterprise Accelerator program helps high growth technology-based enterprises address critical business and management challenges such as market research and development, sales and business development, business operations, intellectual property, financial planning and fund-raising, team building and recruitment, term sheets, fund-raising and due diligence, and corporate governance. VISIONEDGE Technologies is represented on the Council of Singapore High Technology Association (SHTA) (www.shta.org.sg) and is a cluster manager of Global Cleantech Cluster Association (GCCA) (www.globalcleantech.org) for Singapore. VISIONEDGE Technologies is also an approved consultant of Asian Development Bank. 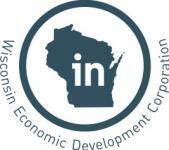 The Wisconsin Economic Development Corporation (WEDC) is the State of Wisconsin’s lead economic development agency. The organization works to expand market opportunities for Wisconsin companies worldwide. The State of Wisconsin, located in the middle of the United States, enjoys a long and mutually beneficial relationship with China and the Chinese people. Wisconsin has world-leading companies and technology to serve China’s unmet needs in the areas of energy, power and controls, clean water technologies and sustainable building materials. WEDC looks forward to supporting the work of the China Greentech Initiative and the China Greentech Report.